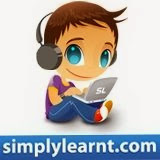 Simplylearnt - Your Ladder to Entrance Success! PLAN using our study plans, DISCUSS by joining various study groups and IMPROVE using our diagnostic tests (soon to be launched)! There's a lot brewing on our front on all these dimensions and would be soon taking off the plug from different initiatives - so keep in loop.